Looking back, if I had I been with anyone else, that fear would’ve transcended into full-blown confidence. The same can be said for the actions we take in our lives. When we’ve got someone beside us and we feel safe 🤗, we’re more likely to push ourselves, stretch our limits, and achieve a heck load more. That’s like going down the hardest run on the mountain… blindfolded! 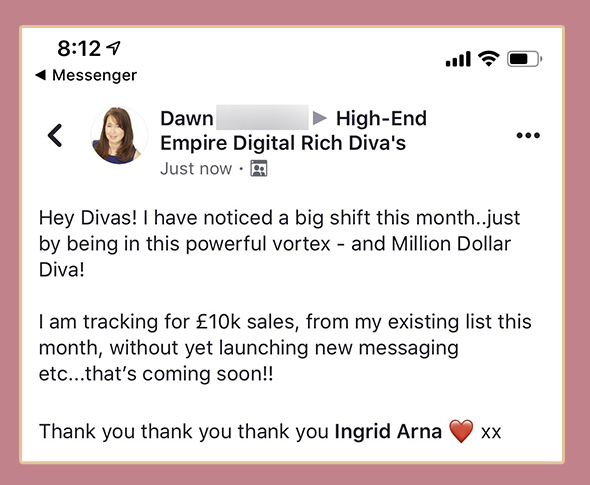 High-End Empire has all the deep, divine content you will need to take you through packaging, sales, copy, ads, funnels, and more. With exceptional support at every turn, you will start to take risks like never before. With results that will empower you 👑 and change your life forever. 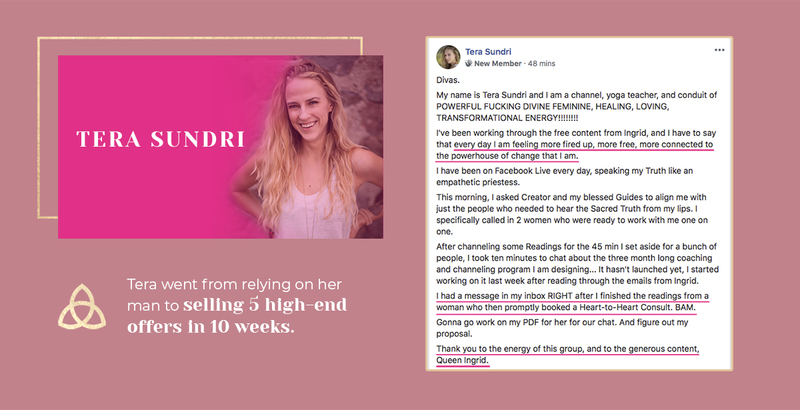 Through her intensive studies in vibrational healing and her 20+ years of experience working for multimillion-dollar corporate brands, celebrity clients, and startups, Ingrid learned that the key to global impact and radical, positive change is to combine rapid business growth and cutting-edge marketing strategy with deep healing and emotional clearing. 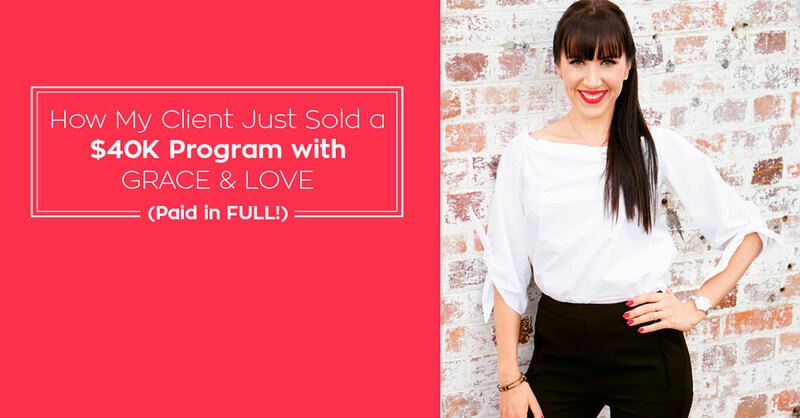 Armed with this realization Ingrid created her renowned integrative approach to coaching that centres on transformational healing work that allows her students and clients to crush toxic limiting-beliefs, break free from self-sabotage, and release addiction to sacrifice in order to build a rich, nourishing life and business. 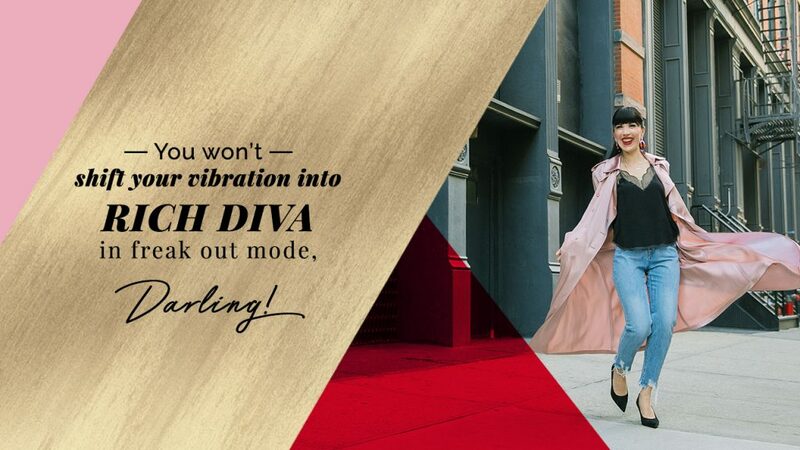 You won’t shift your vibration into rich diva in freak out mode, darling!